Tattoo Awards: Here’s Your Chance at $20k in Cash & Prizes! 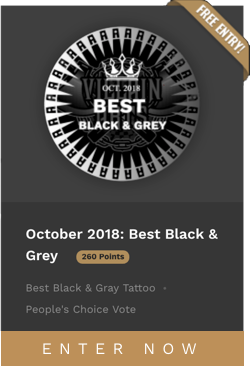 Tattoo Awards Competitions connect tattoo collectors, artists, event organizers, and international sponsors so they can support their favorite tattoo artists and keep up with the latest-and-greatest in tattoo art. Get your name and artwork ranked highly on search engines like Google, plus enjoy a new and fun way to interact with current and potential clients! 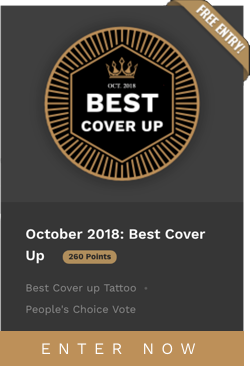 This October we’re hosting 8 unique online Tattoo Awards competitions highlighting the most-talented tattoo artists in the game. We optimize your content and circulate it through our digital marketing channels, funneling valuable digital exposure to you and your art. Don’t let 6,000 Bonus Points slip away! 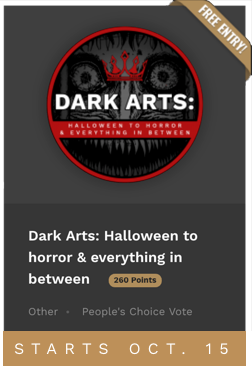 Don’t Forget to Verify your trophies before November 20, 2018! 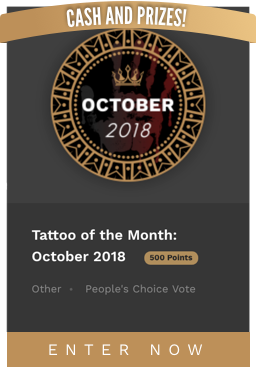 Have you claimed your Tattoo Awards profile yet? Check to make sure your digital trophies are accurate and all present before November 20, 2018! On December 1st, 2018 we’ll award $20,000 in cash and prizes to our Artist Cup and Peoples’ Choice Leaderboard Winners! November 20, 2018, with any concerns. The post Tattoo Awards: Here’s Your Chance at $20k in Cash & Prizes! appeared first on Tattoo.com. Explainer: how are tattoos removed?